Representative C.D. Davidsmeyer was born and raised in Jacksonville, Illinois, where he attended Jacksonville High School. He received his BA in Political Science from Miami University in Oxford, Ohio. Following his graduation, Representative Davidsmeyer worked as a Legislative Assistant to Congressman John Shimkus in Washington, DC. 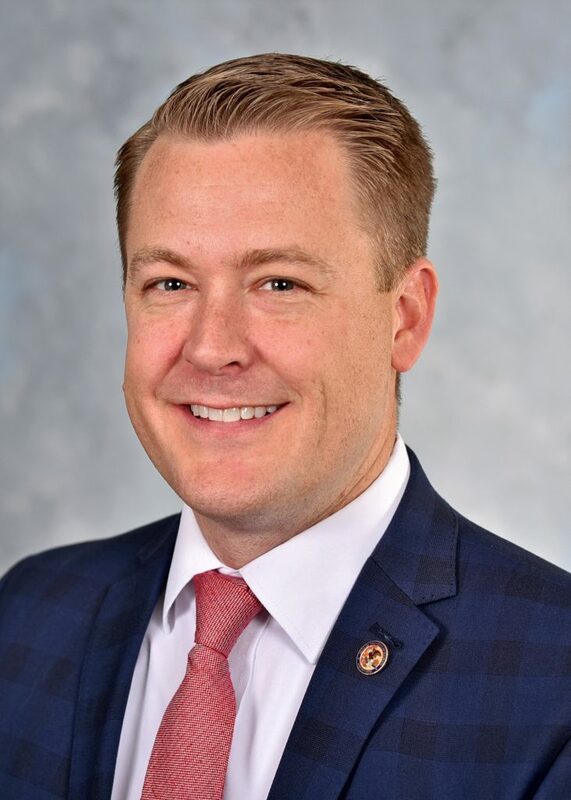 Representative Davidsmeyer returned to his hometown of Jacksonville in 2006 to become Operations Manager of IRC Inc., a subsidiary of Illinois Road Contractors, Inc. In 2009, he became Vice President of IRC where he continued his duties of Operations Manager adding all budget responsibilities and financial decisions of the company. Representative Davidsmeyer joined the Jacksonville City Council in 2008. He served as the Chairman of the Public Protection Committee and most recently served as Chair of the Finance Committee. During that time he also served as an officer in the local Chamber of Commerce, Rotary and Library Board. He was appointed to the House of Representatives in December 2012, and sworn in for a full term in the 98th General Assembly in January 2013. Representative Davidsmeyer and his wife Kristen along with their two boys reside in Jacksonville.